There are many benefits to having an aluminum fence installed by Chesley Fence & Deck at your home in O’Fallon, Illinois. First and foremost, we have an unparalleled level of experience and expertise, having installed more fencing since 1967 than any other company in the area. 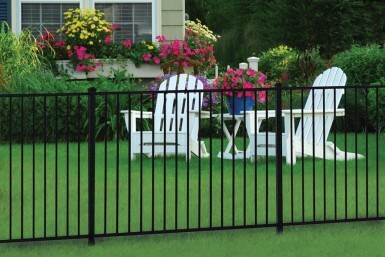 We also only offer premium ornamental aluminum fencing that will remain sturdy and beautiful for many years to come. Having Chesley Fence & Deck install an aluminum fence at your home in O’Fallon, IL, is also the ideal solution to many of the troubles you may be having with your property. For example, while most aluminum fencing is available with four inch gaps between the pickets, we offer an option with two inch gaps, which can help you to keep small pets from escaping your yard. Plus, our technicians can install fencing in any configuration, so whether you’d like to simply enclose an in-ground pool or your entire property, we have you covered. 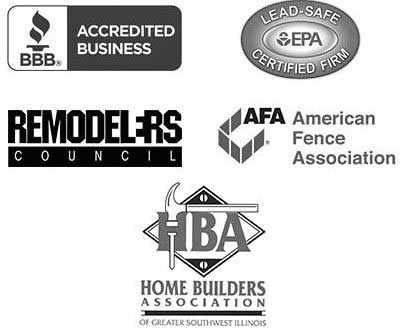 If you’d like more information about the benefits of having Chesley Fence & Deck install an aluminum fence at your property in O’Fallon, IL, contact us today.